Sufi music, Urdu pop culture and more! 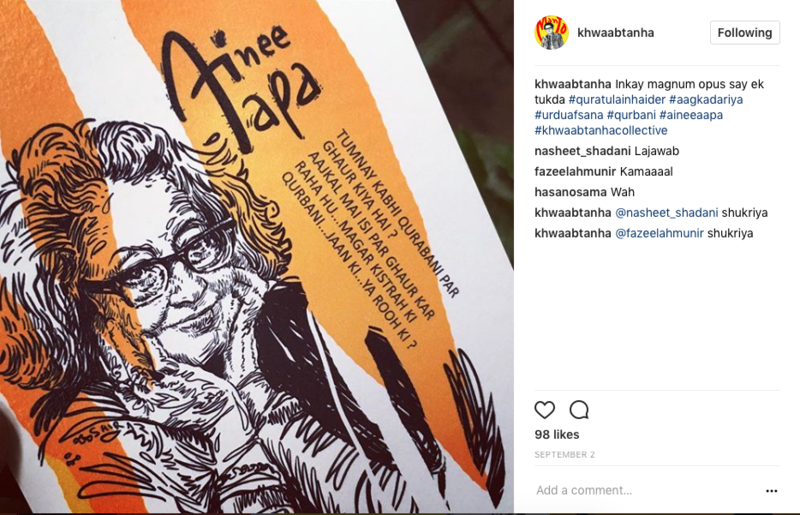 Though Urdu readers and speakers in India are disappearing fast, the language is still alive in the form of ghazals (poetic expressions in the form of songs), poetry recitations, Urdu festivals, Sufi music, the new emerging Urdu pop culture, and more. It is quite difficult to compare the richness and depth of Urdu literature and its influence on the development of the art scene in India. The language that was once dominant in various parts of India along with a major section of the world; today, the Urdu-speaking population in India have slowly switched to Hindi and English, with only traces of the quintessential flavour of Urdu in their speech or in written forms. However, curiosity about the many different facets of Urdu as a language, the tehzeeb (culture/ manners) and the poetry, have kept the language alive. 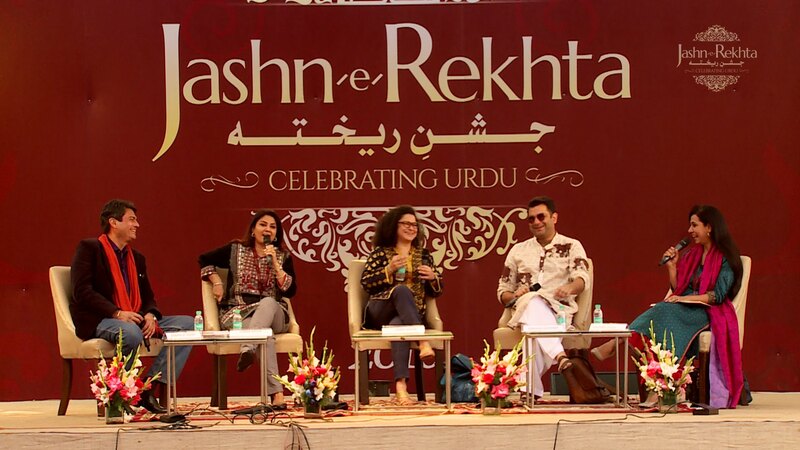 While Urdu is typically celebrated as a language of romance and classical poetry – its presence in India can be found everywhere from Bollywood songs, to mushairas (poetry recitals) at various festivals and events, and even as poetry on trucks; thanks to the flood of Urdu-related events, concerts, literary festivals, and a legacy of this ornamental dialect, that have created a buzz around the language, especially in the capital city Delhi. Of late, there has been a rising trend in Sufism with healing through Urdu music. From bhajans (spiritual songs) to dohas (couplets) by Kabir Das (a 15th-century Indian mystic poet and saint), the works of 18th-century Punjabi Sufi poet Bulleh Shah, to Pakistani daily soaps and Urdu poetry on television, the language is trying to keep its relevance alive not only amongst the senior citizens but also the new generation, through new emerging mediums. 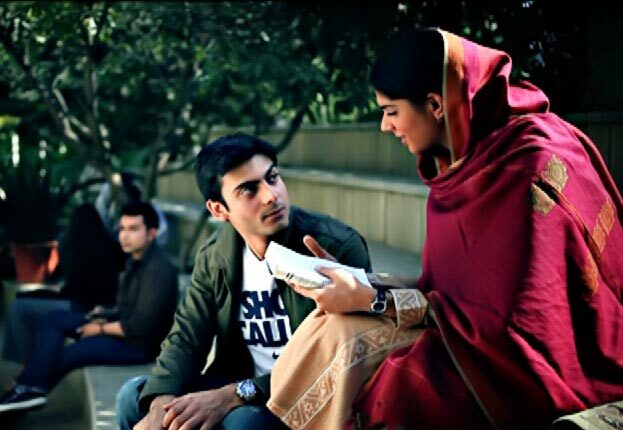 Zindagi, a former television channel and now a digital-only channel with its content accessible on OZEE app in India, telecasts Pakistani soap operas where the characters predominantly speak Hindustani, with a lot of phrases and words from Urdu. And because of the rare softness in the language, shows on the channel have found tons of fans across India. “I love the words they use. The gentleness with which the language is spoken is something so unique,” says Sheetal Magan, a resident of Mohali, Punjab (north India). “It has captivated me to the extent that I urge to use Urdu words like ‘masla’ (problem), in my daily speech. I like talking using words from the language,” adds Pallavi Goel, a student in a baking school in New Delhi. Additionally, the interest in the language is increasing to a level that from the big café chains in India to the small ones, everyone is organising weekly Sufi nights with live performers singing Sufi songs. When Shiraz Husain, a Delhi based artist, saw youngsters wearing T-shirts printed with Che Guevara and Bob Marley’s graphics, it urged him to bring Urdu poets and writers on tees and coffee mugs. 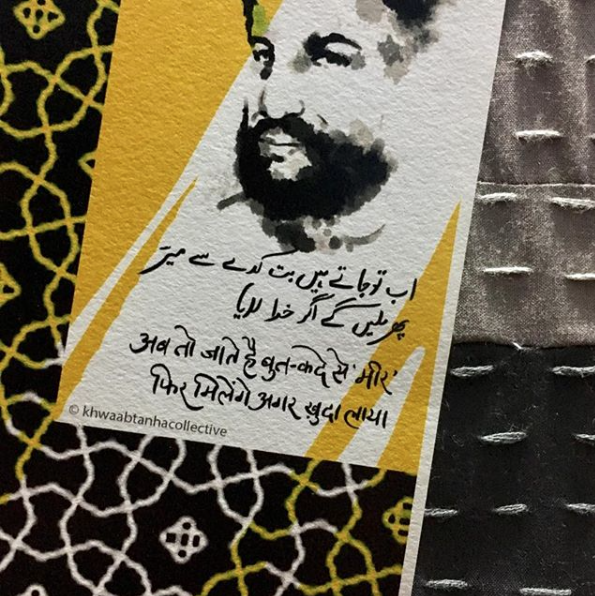 Through visual arts, Husain attempts to reach out to large audiences to popularise Urdu artists such as Amir Khusro, Ghalib, Faiz Ahmed Faiz, Manto, Amrita Pritam, Jaun Eliya, Parveen Shakir and Mukti Bodh, amongst others, illustrating their works on coveted merchandise. Husain has now been selling these products through a community page on social media platform Facebook titled ‘Khwaab Tanha Collective’. Events with Urdu couplets written by Faiz Ahmed Faiz (The Lenin Peace Prize winner Pakistani poet) or Ghalib (prominent Urdu and Persian-language poet during the Mughal Empire) being read from books or heard at ‘mushairas’ are not old stories anymore. Art lovers are thronging to occasions such as ‘Jashn-e Rekhta’ (celebrate Rekhta), ‘Hindustani Awaaz’ (Hindustani voice) and ‘Humari Urdu Mohabbat’ (our love Urdu), held regularly in Delhi. Hindustani Awaaz, set up in 2003, to create space for Urdu in mainstream cultural hubs across Delhi, pulled out Urdu out of the thrall of ghettoes and relies solely on the goodwill of a growing band of Urdu enthusiasts. Similarly, a recent three-day conference at Jawaharlal Nehru University (JNU) in Delhi, highlighted the presence of Urdu in pop culture. An international conference titled ‘Exploring The Popular Culture of Urdu Language’ was organised by ‘Tasveer-e-Urdu’ during the second week of September to discuss topics ranging from ‘Popular Imagery of Urdu Speaker in Hindi Cinema’ and ‘Dialogue as a Character in Mughal-e-Azam’.